Zippy, fuel-efficient, stylish, spacious, safe, and affordable, it has all the traits a young student could want. University will probably be one of the most exciting, but busiest times of your life. 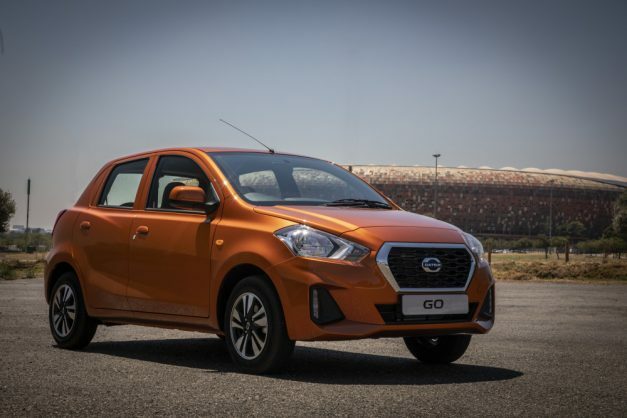 That is why you need a trusty four-wheeled companion to help you navigate it and the recently released Datsun GO, the perfect car for the busy student. Whether 2019 is your first year or you are returning for what will hopefully be your final stint, you are likely to need a set of wheels to get you from A to B – to get you to classes, study sessions, extra-mural activities and perhaps some part-time work. Datsun promises to provide personal mobility and freedom to go-getters looking for a means to achieve their dreams. And ambitious dreams often start with a degree. Zippy, fuel-efficient, stylish, spacious, safe, and affordable – the new Datsun GO has all the traits a young student could want. And most importantly, the car is easy-to-handle with electric power steering and a turning circle of just 4.6-metres. This means you will be able to fit into the smallest parking spots and zoot around campus with ease. There are also reverse parking sensors which give an audible beeping warning that activates when reverse gear is engaged, meaning you can be confident you won’t hit anything while reversing. There is speed-sensitive electric steering which calculates how much assistance to give you based on how fast you are going so it will offer light steering effort at low speed, and firm steering effort at high speed. This makes for anxiety-free smooth driving, especially if you just recently got your license. You will still be able to get around fast if the situation calls for it, as it is powered by an energetic 1.2-litre petrol engine that produces 50kW at 5,000rpm and 104Nm at 4,000rpm paired with a smooth 5-speed manual transmission. The new Datsun GO also has an impressive fuel efficiency of the 1.2-litre engine, which has a combined consumption of 5.2 litres per 100km. This means that, with today’s fuel prices it should cost you around R14 to drive nearly 20 kms. Meaning increases in the petrol price won’t cripple your tight student budget. The new Datsun GO comes standard with a trendy 7-inch touchscreen infotainment screen that becomes an extension of your smartphone through Android Auto and Apple Car Play connectivity. This allows you to access features such as music, messages and maps in a way that is safer than taking your eyes off the road to try and use your phone in traffic. There is also Bluetooth and USB connections. Besides all of this, standard specification includes coloured electric side mirrors, reverse parking sensors, intermittent wipers, central locking, an immobiliser, ABS, driver and passenger airbags, and retractable seatbelts. It also has a redesigned front grille and rear bumper, as well as 14-inch wheels. The new Datsun GO is nimble but spacious with enough room to pack up your dorm at the end of term and drive home for the holidays. Having a five-seater hatchback also means that you may be able to get your petrol covered on that weekend break away by offering lifts to peers. Students should keep in mind that once the car is purchased, there are other upkeep costs that are involved in car ownership. Datsun helps ease these burdens as every Datsun GO comes standard with a 3-year/100,000km warranty and an optional service plan. In addition, consumers will receive one-year insurance with the purchase of a GO. Prices for the new Datsun GO start at R144 500. Book a test drive at your nearest Datsun dealership or visit www.datsun.co.za for more details.